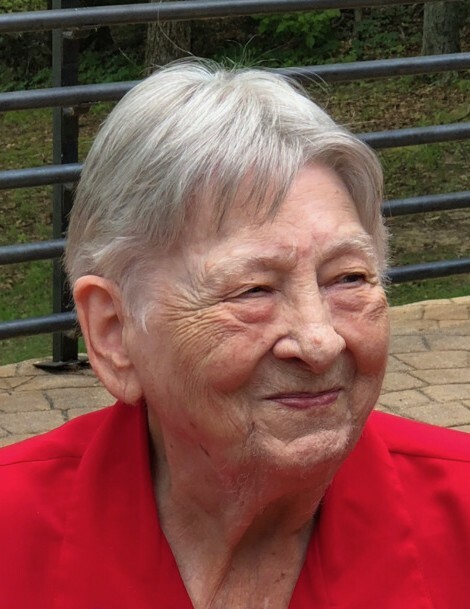 Maggie Lee Smyly age 88, of Fort Smith, formerly of Arkadelphia went to be with her Lord and Savior on Friday, November 30, 2018. She was born March 9, 1930 to the late William Taylor and Ruth Hiden Whitworth. Maggie was a member of Arkadelphia Church of Christ where she served as church secretary for many years. She was preceded in death by her parents, her husband, Charles Ernest Smyly; a son, Chuck Smyly ; a daughter, Leesa Corn and a granddaughter, Heather Smyly. Survivors are one son, Darryl Smyly of New Orleans, LA. ; one daughter, Beth Smyly of Fort Smith; one daughter-in-law, Cheryl Smyly of Bismarck; three grandchildren Samantha Dooley and husband, Steve of Van Buren, Drew Smyly and wife, Amber of Wynne and Gloria Smyly of New Orleans, LA. ; two great-grandchildren, Rachel Dooley of Fayetteville and Luke Dooley of Tulsa, OK.; three sisters-in-law, Lucille Whitworth of Memphis, TN., Hatti Merle Pugh of Leland, MS. and Vicki Whitworth of Hilo, Hawaii; one brother-in-law, Bob Hodge. Services will be 10:00 AM Monday, December 3rd at Ruggles-Wilcox Funeral Home in Arkadelphia with Jim Buie officiating. Visitation will be 2-4 PM Sunday at Ruggles-Wilcox Funeral Home in Arkadelphia. Interment will be at 11:00 AM Tuesday, December 4th at Hollandale Cemetery in Hollandale, Mississippi.